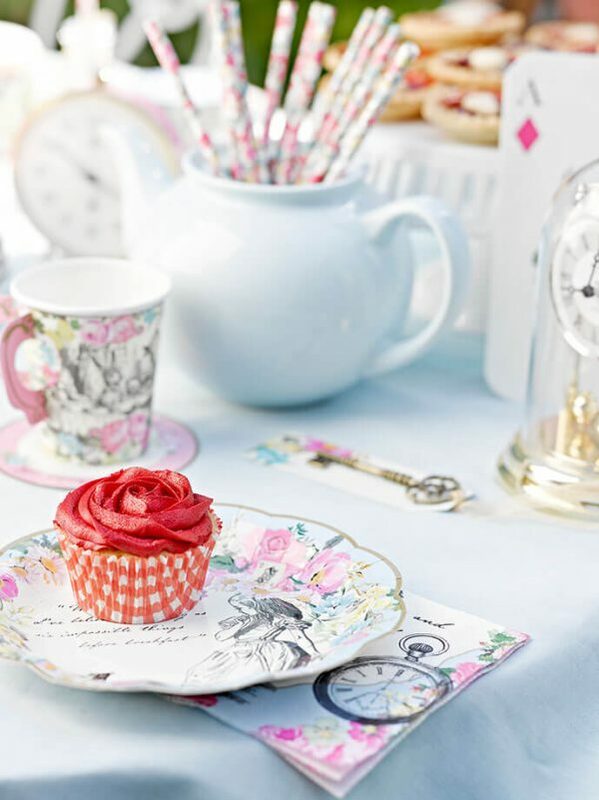 A high tea on the day of guest’s arrival or a brunch and high tea on the check out day is a great way to have a little bit more fun time with your dear ones and we wonder if there’s a better way to host it than by having a whimsical Mad Hatter’s themed tea party. 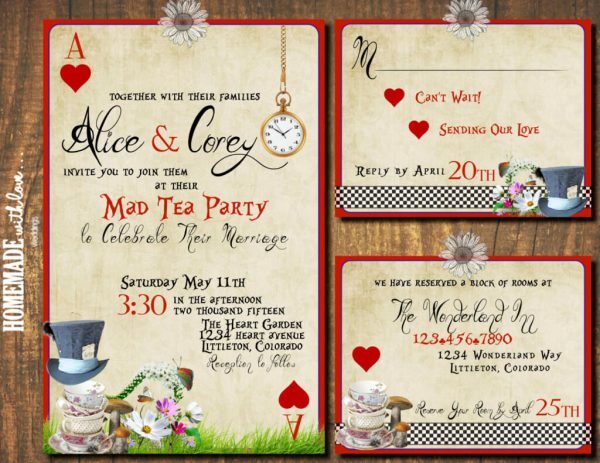 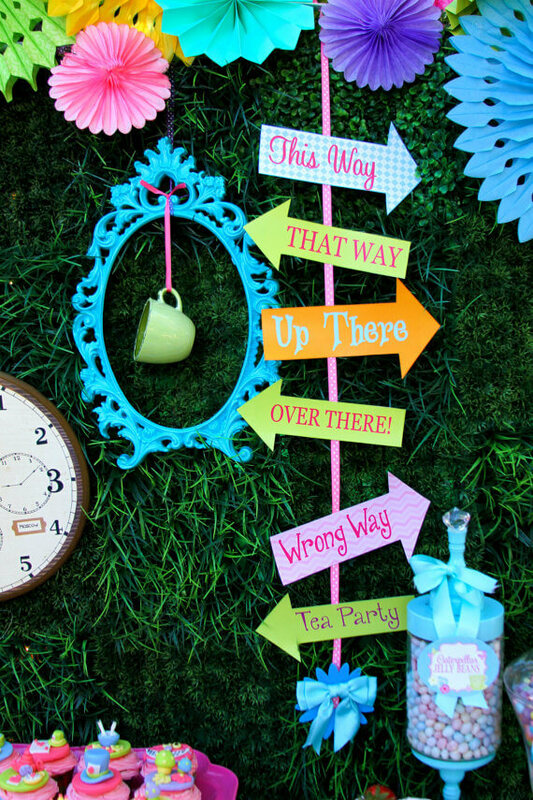 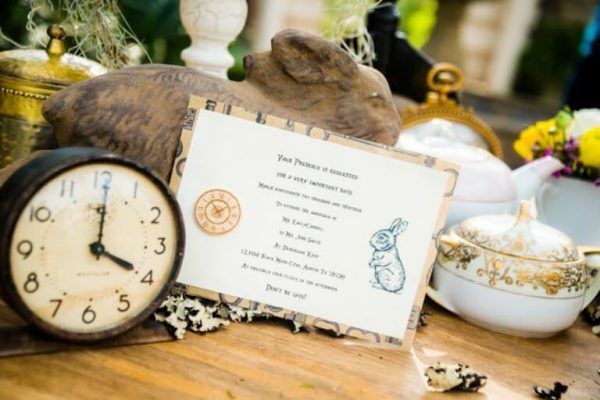 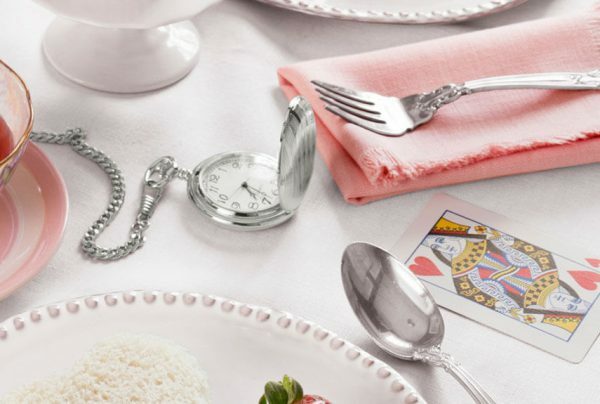 A Mad Hatter’s tea party invite has to have an element of ‘Curious and Curiouser.’ And of course, tell your guests not to be late for a very important date just like the White Rabbit. 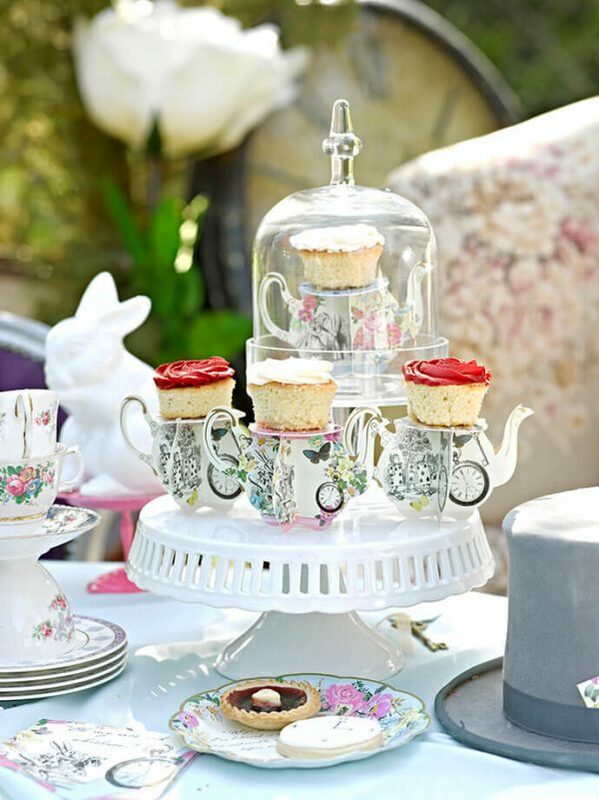 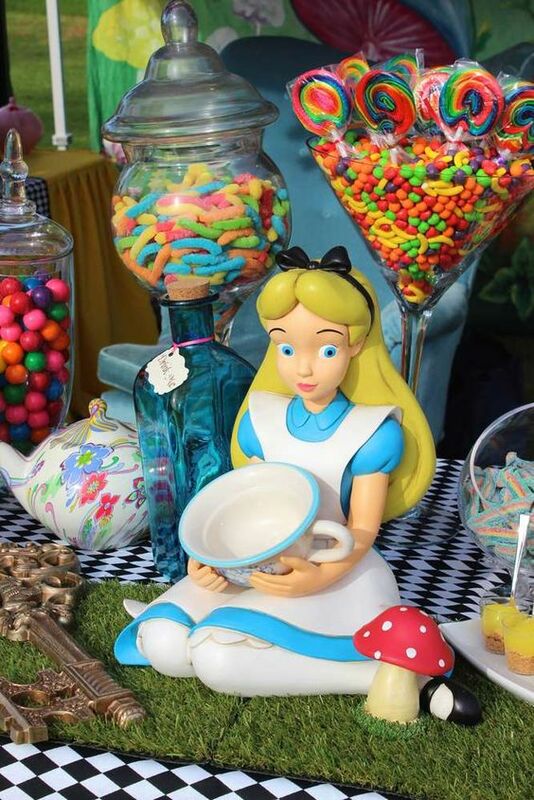 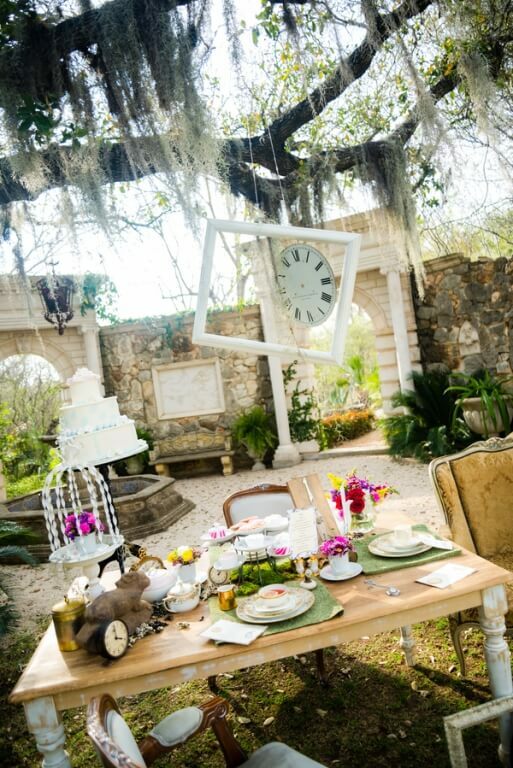 Décor for this mad hatter’s tea party has to be eclectic and quirky and something that reeks of the nostalgia of Alice’s wonderland. 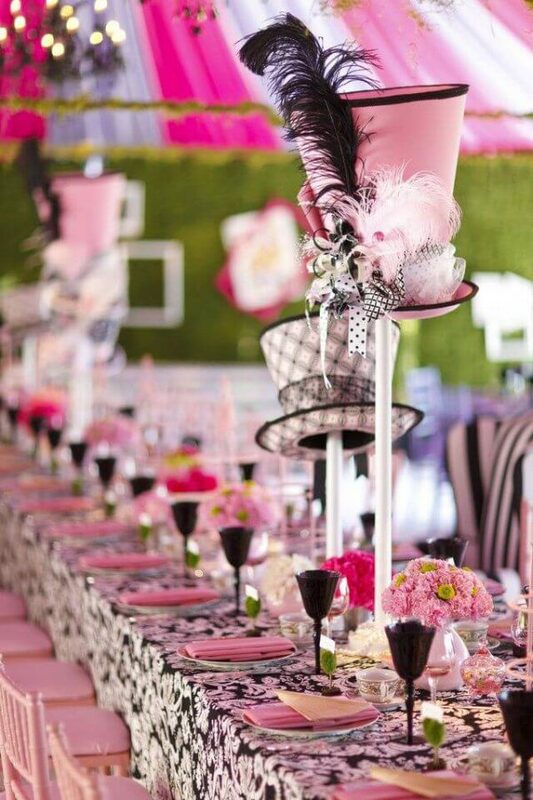 The table set up is central to creating the atmosphere for this heartwarming and mad time party. 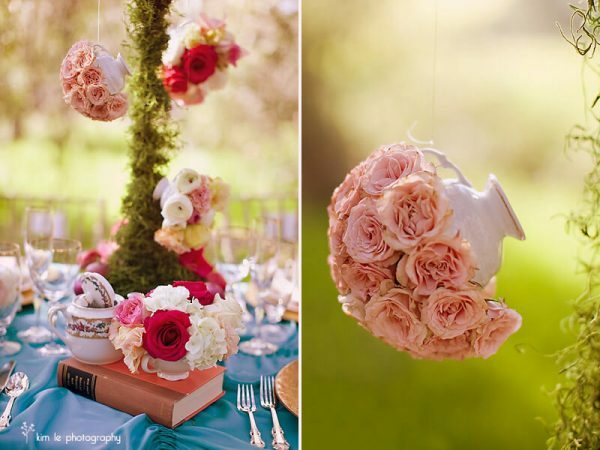 You may decorate it with flowers like daisies and roses in different sized teapots. 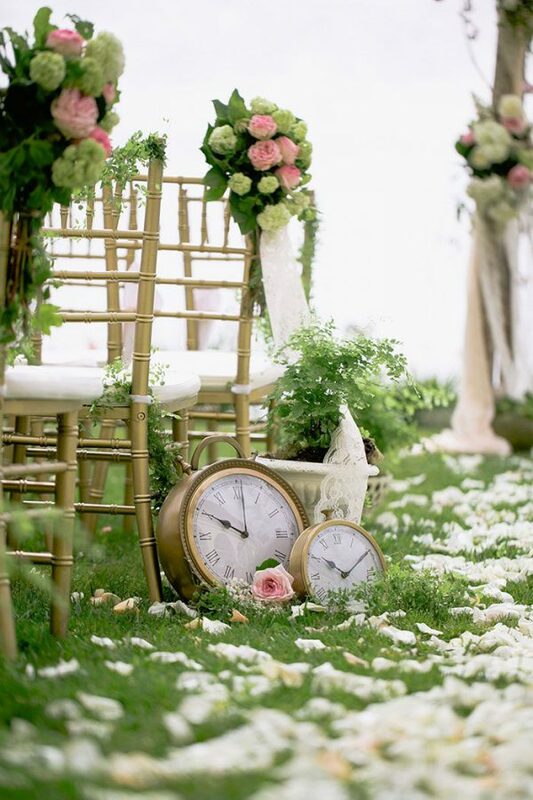 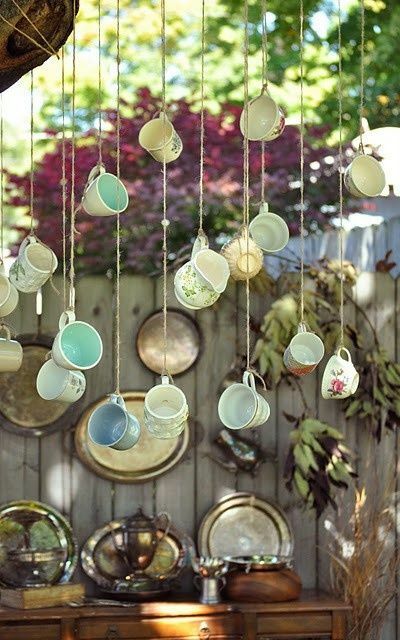 You could create an interesting backdrop like this with colorful tea cups hanging on a line. 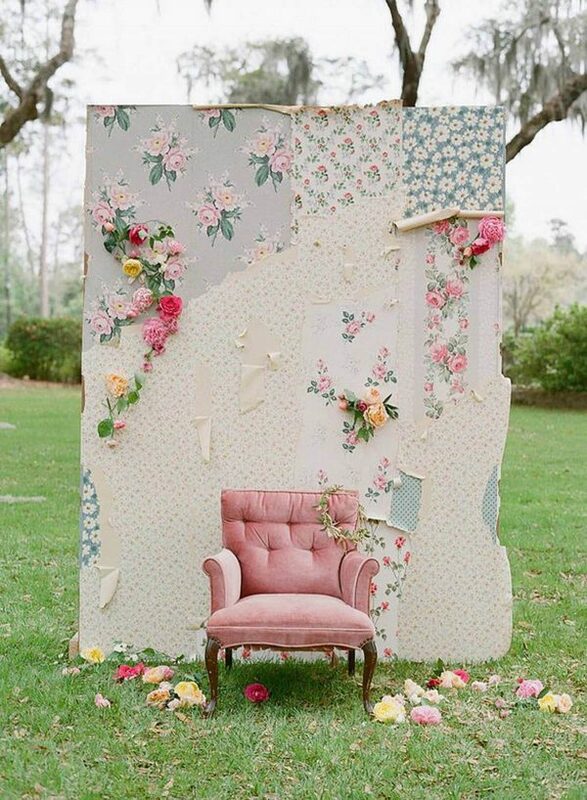 This could also make for an interesting photo booth, and you may place props like eccentric hats or rabbit ears. 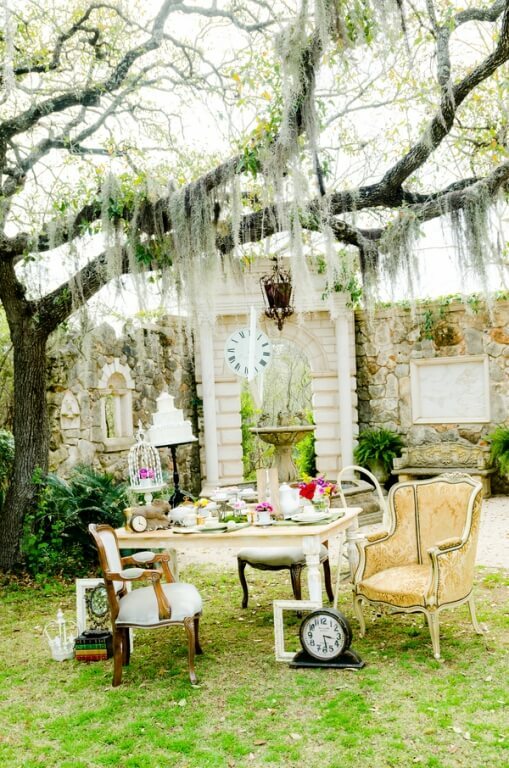 And put some vintage clocks that are stopped at the tea time. 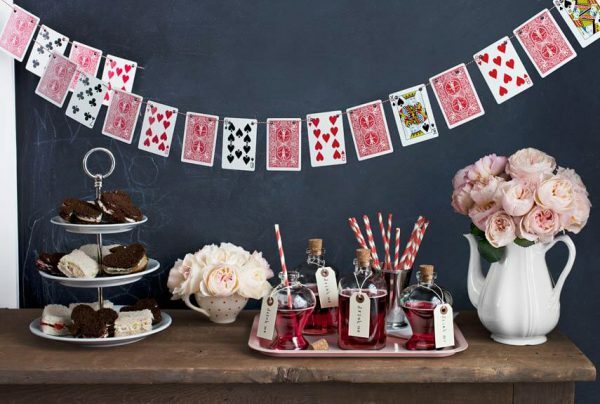 Hang in a string of playing cards laced together for a console table. 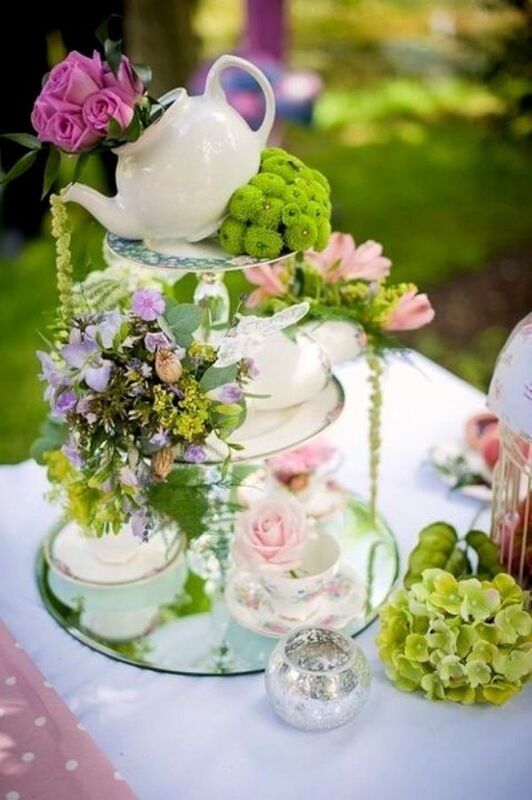 Have a great collection of different flavors of tea and pitchers of iced tea with plates of sandwiches and mushroom nibbles and pie and other savories. 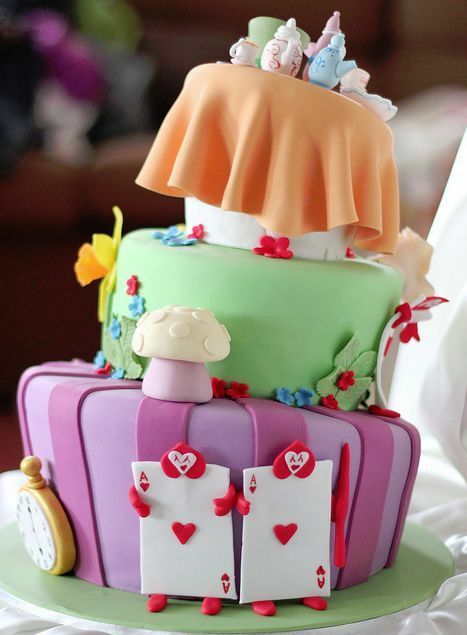 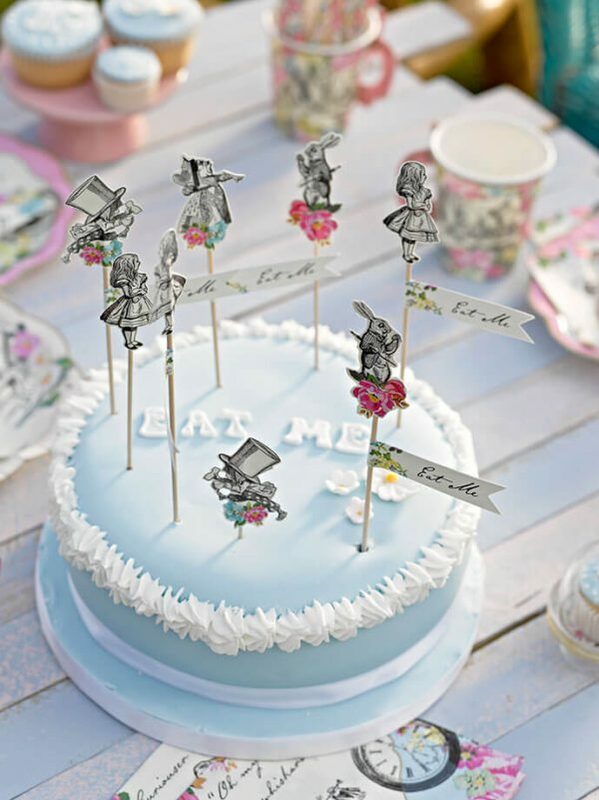 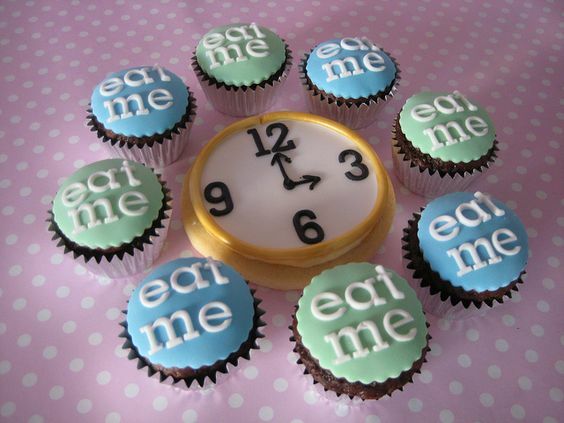 And of course, a delightful mad hatter themed cake would be simply wonderful. 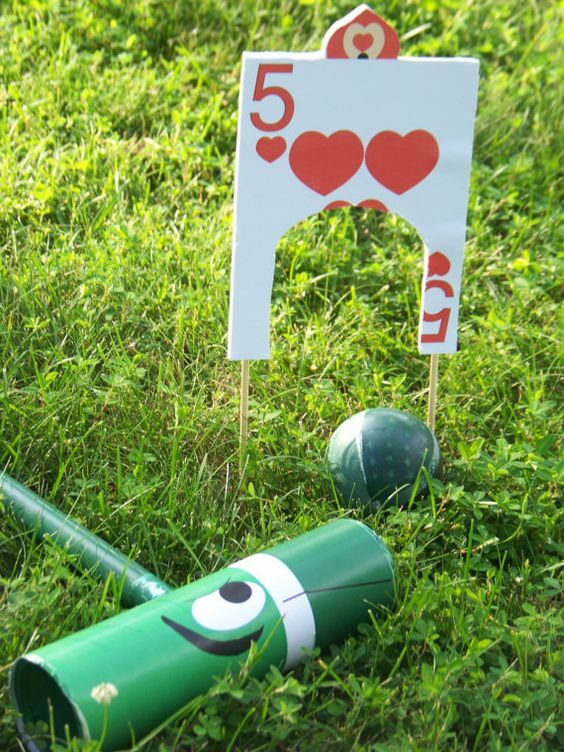 You could organize a game of croquet or have a giant sized chess board game in the lawns. 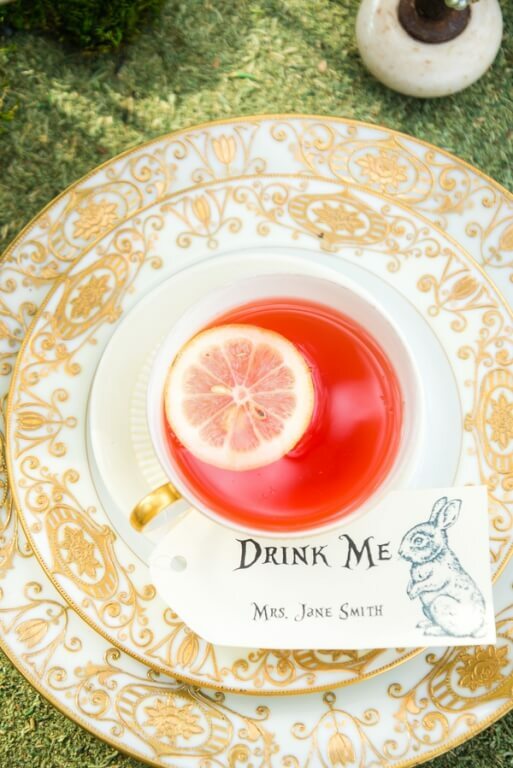 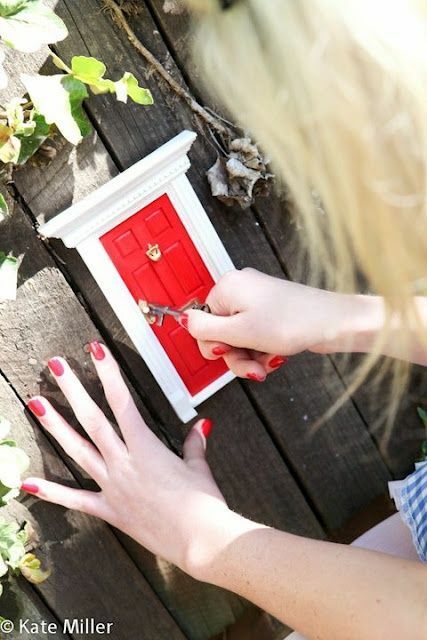 Create your own fun playlist with songs with Alice in Wonderland, White Rabbit, Sunshine to set the right mood. 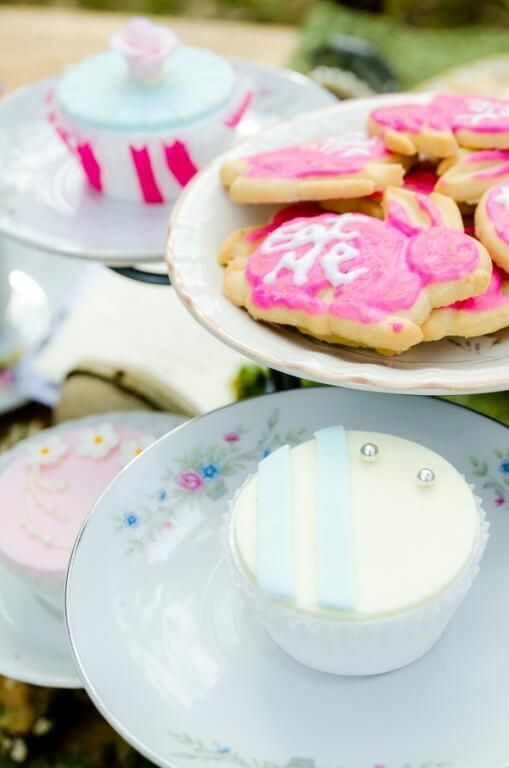 If your idea of having a high tea is more than just a laid back tea and snacks and you would rather have every occasion of your wedding with high doses of joy and madness, then a themed high tea would be just the right quirky addition to your celebratory events you should have. 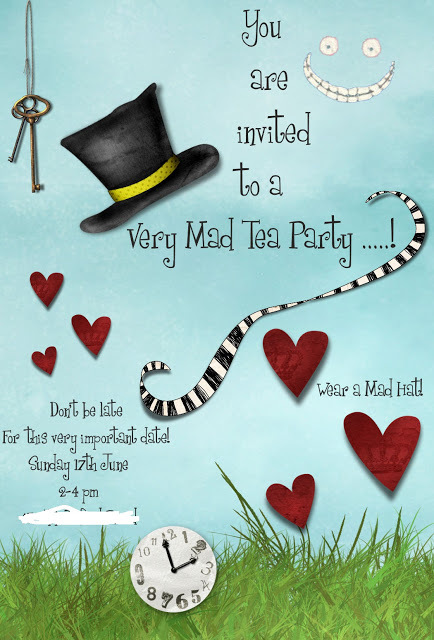 And since there’s no limit to madness right so you can get as bonkers as you like and create your own rendition of a truly Mad Hatter Tea Party and need we say we would be more than happy to be a your partner in planning and styling the afternoon /evening of utter madness.